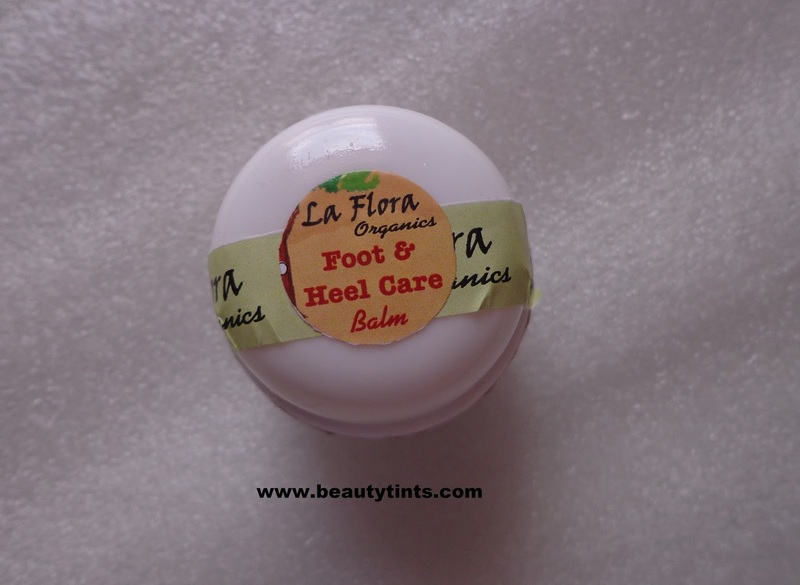 Sriz Beauty Blog: La Flora Organics Foot & Heel Care Balm Review!!! 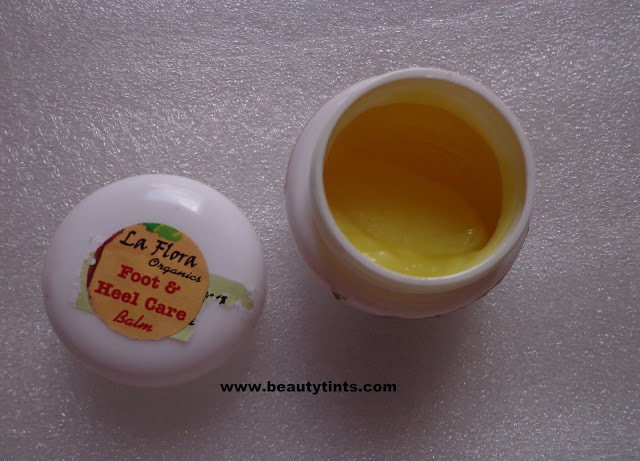 Today I am reviewing a wonderful Foot care cream from La Flora Organics,which is their Foot & Heel Care Balm,enriched with the goodness of Organic Coconut Oil ,Castor Oil, Natural Bees Wax, essential Oil of Tea tree & Tulsi. 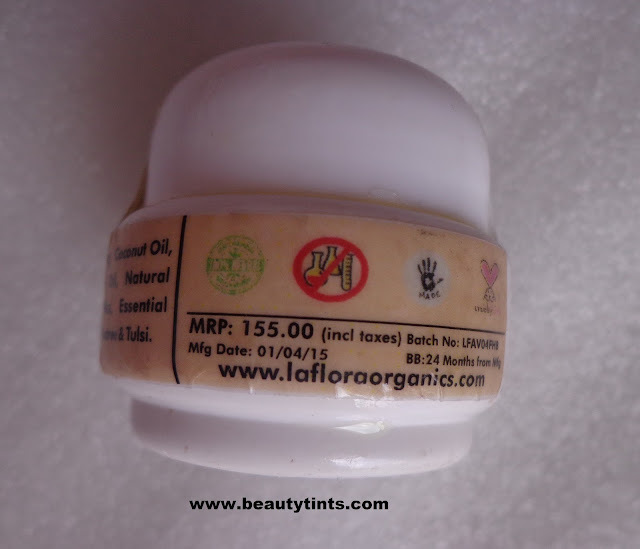 About The Brand: "La Flora Organics " is the story of a passionate love & immense respect, Love to NATURE. An embrace that led us to create a wonderful range of Bath & Body care products.Wholesome products for the family that are handmade using healthy, mostly edible ingredients that are close to Mother Nature & Earth as much as possible. 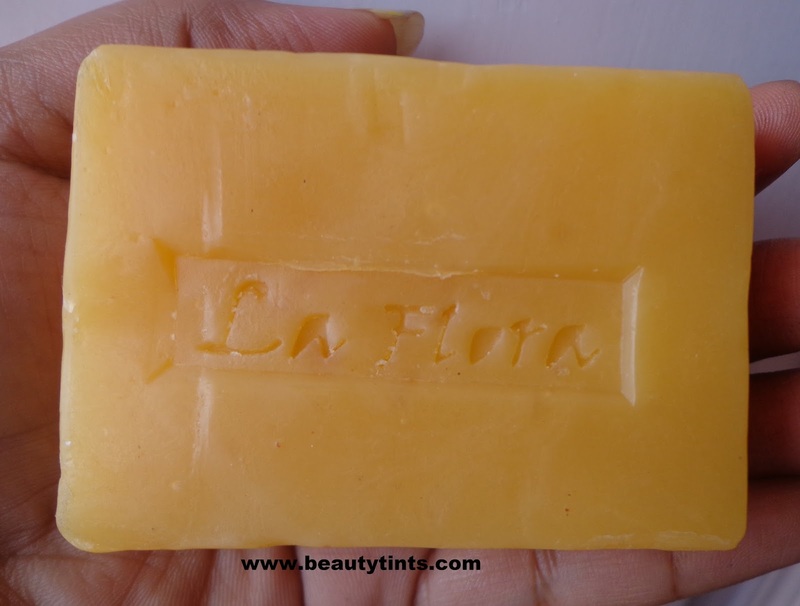 Our Journey began with La Flora Soaps.We believe that great soaps and real oils are better for us than the chemical laden alternatives. 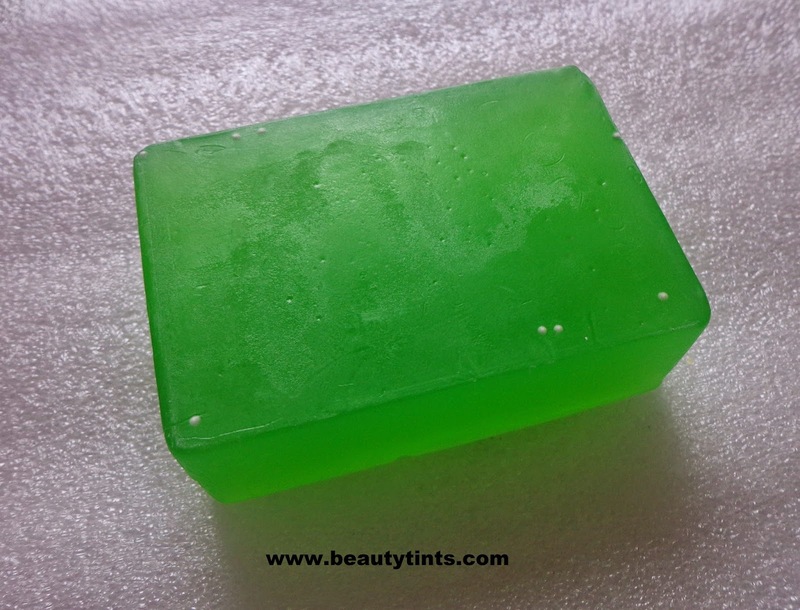 the magic of simple Organic oil blends poured to form a bar on which nature is allowed to do its gentle wonder for weeks, there by turning it into a bathing bar that can simply transform your bathing routine. the beauty of a creation done from scratch by human hands and minds , not machines . To take along with you a step towards consicious living on this beautiful blue planet. You can check out their face book page as well as their a Website. 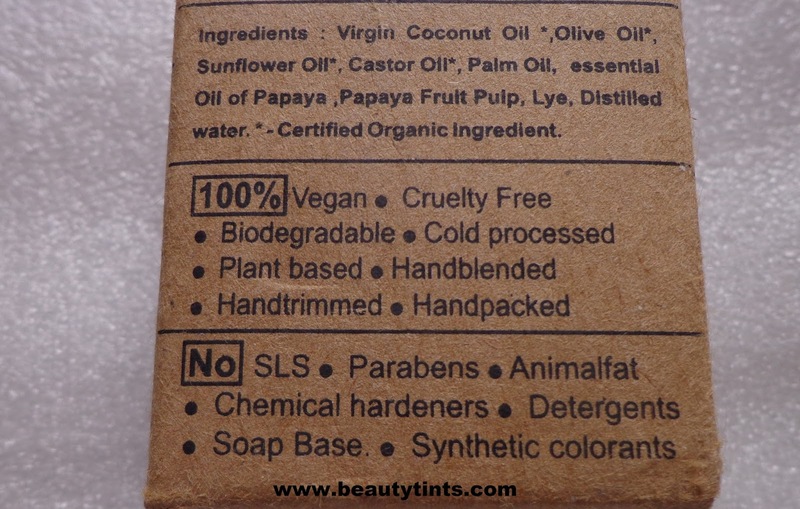 Packaging :It comes in a cute white colored tub packaging with a screw cap. 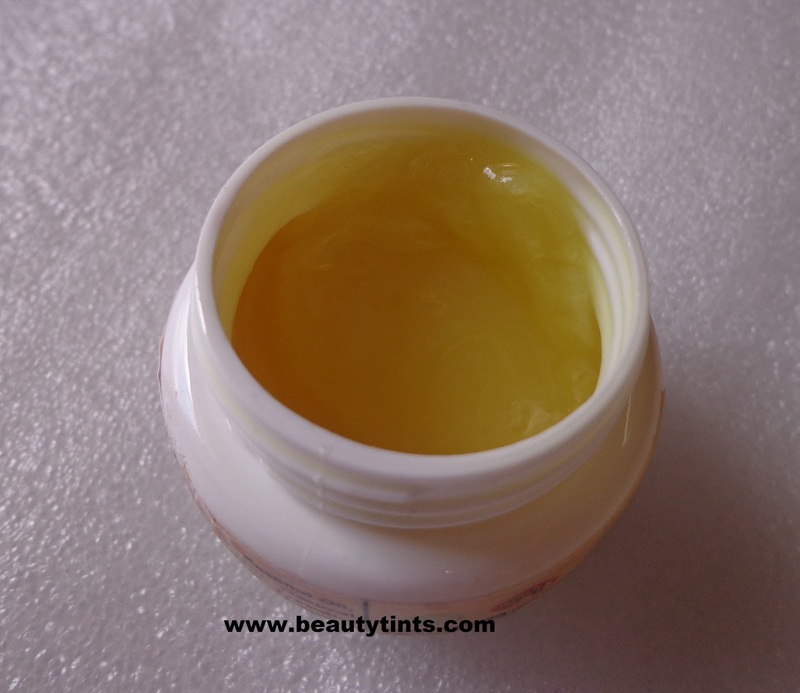 Color and Texture : This balm looks yellow colored when in tub,but it is transparent when applied. 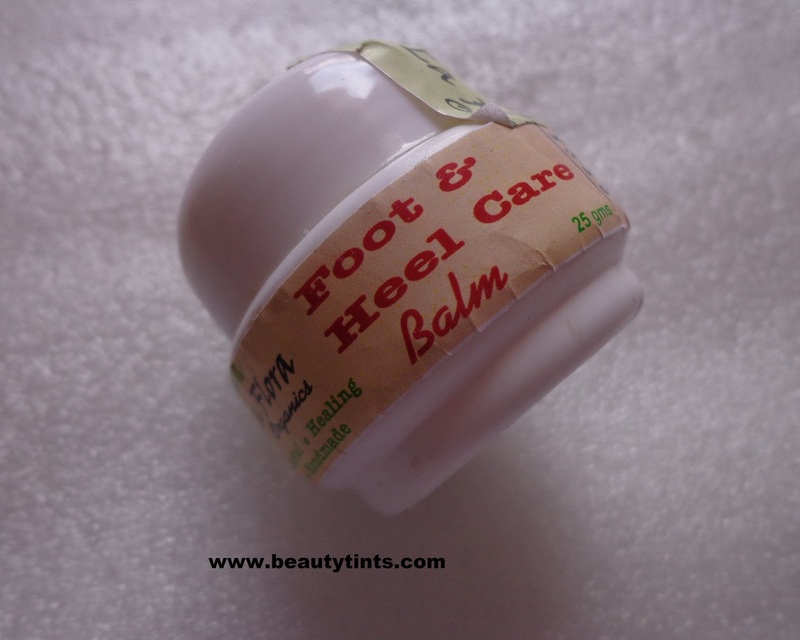 Foot & Heel Care Bio Balm,100% Herbal -Healing-Handmade,Special care for wonderful Feet & Cracked heels.Our Feet are often subjected to a lot of daily wear & tear. To heal those painful, cracked heels or to simply soften & nurture your feet at the end of a tiring day,, this balm is ideal.Organic Coconut Oil & Castor oil softens & moisturises the skin tissues deeply but gently. Tea Tree & Basil Oils that have anti inflammatory & antifungal & antibacterial properties that helps to heal the cracked areas of the feet .Now you can show off your beautiful feet with any stylish footwear without hesitation. 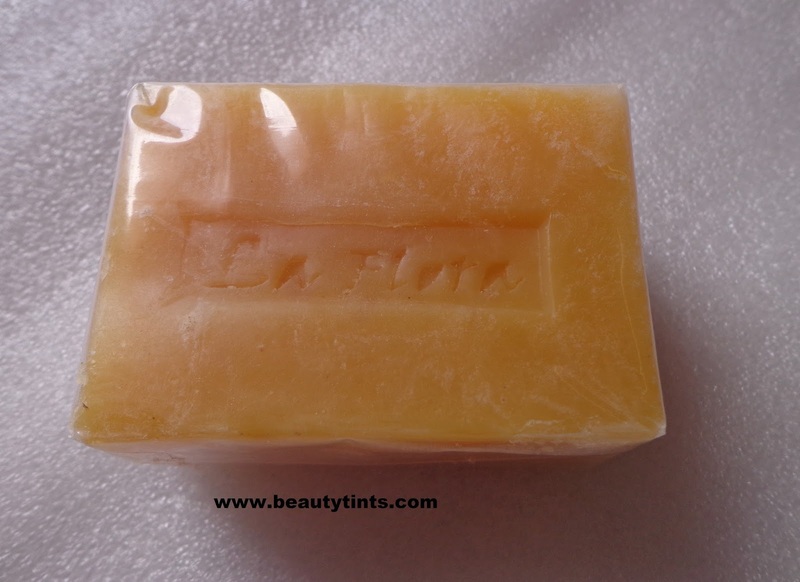 Ingredients : Organic Coconut Oil ,Castor Oil, Natural Bees Wax, essential Oil of Tea tree & Tulsi. 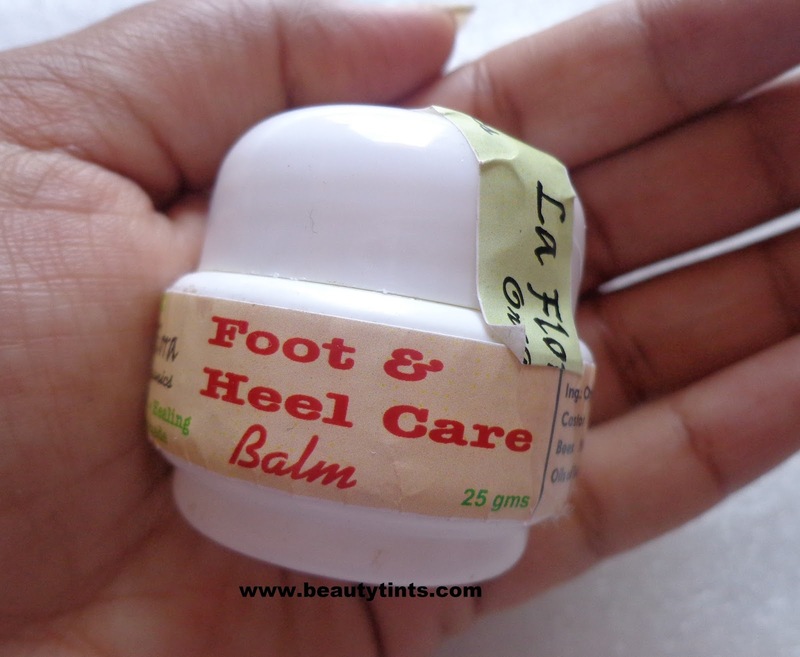 Directions:Apply balm as needed on your feet ,massaging it gently into the cracked heel areas.Rub it all over the feet surface & toes for soft , glowing feet. Use regularly for better results. 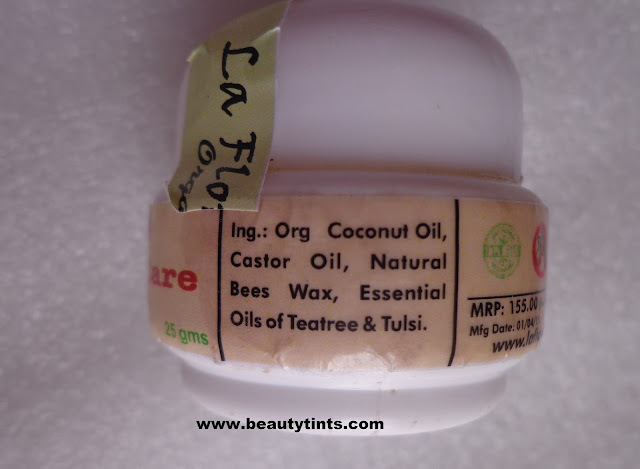 I have been using this from almost a month and still there is some product remaining,which means that a little product is needed every time.This balm looks like a pale yellow colored cream but when applied turns into a colorless liquid,this is because,it is completely natural and is free from artificial hardeners.It has a very refreshing mint fragrance.I don't have cracked heels now,but have a very dry feet and from the day I started using this balm,dryness has gone and my feet became super soft and smooth.This dries up instantly,so no need of waiting for it to get dried.It hydrates the feet for a long time.It is not greasy or sticky and very comfortable to use it at any time in a day.It contains the goodness of Organic Coconut Oil ,Castor Oil, Natural Bees Wax, essential Oil of Tea tree & Tulsi. 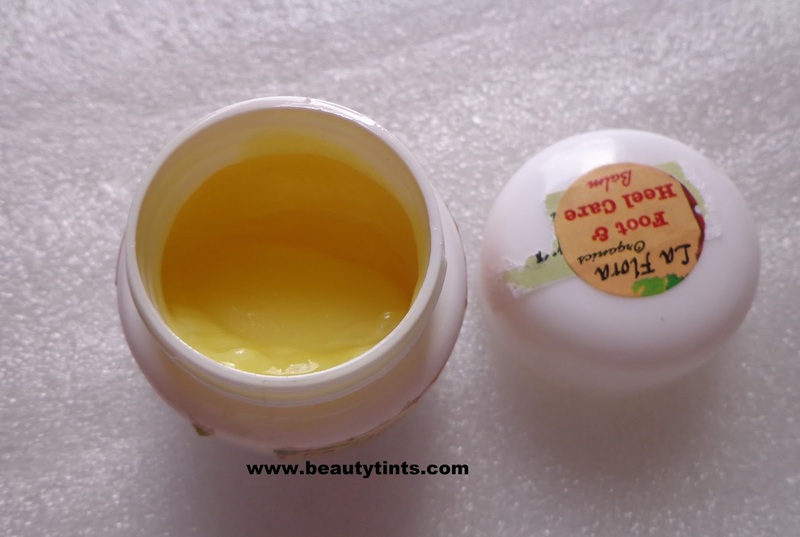 It also helps in keeping the infections at bay.The only concern about this balm is the price,which is a bit pricey for the quantity.It would have been much more comfortable if it comes in a tube packaging,but considering the consistency and texture of the balm,tub packaging is preferable.So,I am not complaining about the packaging. As I do not have personal experience on its effect on healing the cracks,I cannot comment on it much,but I feel that it may work effectively in healing the cracks as well. Available easily on most e-commerce sites. Final Conclusion about La Flora Organics Foot & Heel Care Balm:Those who want to pamper their feet with the goodness of all natural ingredients,should try this!! !